Your invite's on the way! Check your junk email as well. to Sam Ovens for TURBO boosting your consulting knowledge. This is a real book, and you can get it for FREE (just pay $7.95 for shipping). 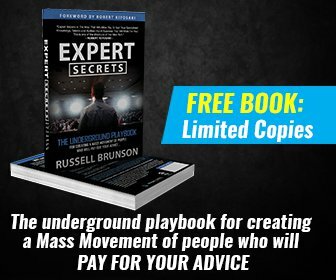 Yes, Give Me Russell's FREE Book!